#BetweenTheSheets: King Niklas = GOAT? Every sport has its GOAT. No, no not the athlete on the team who goes back for double or triple helpings at a buffet line and will eat anything. I am talking about THE GOAT...The Greatest Of All Time. GOAT conversations happen all the time in sport. The debate rages on as sports media and fans discuss who is the true GOAT. We all know Wayne Gretzky is the GOAT of hockey. Tough to argue against Roger Federer for tennis. Michael Jordan for basketball. Tiger Woods in golf, although some would say Jack Nicklaus or other greats. After his Super Bowl win this year Tom Brady seems to have cemented his legacy even more in the GOAT conversation. But what about curling? Who is the GOAT of curling? After a dominating world championship performance last week it might be time to name #KingNiklas the curling GOAT. How do we even determine GOAT status given how much the sport has evolved over the years? Do we go by world championship wins? National titles? Continental championships? Grand Slam of Curling results? How do we factor in longevity? Do junior and university results carry weight in the discussion? This is a special year: 2019. It means the decade is coming to an end. It also means, come December, we are going to see Top 10 decade lists for everything. Top 10 Artists of the Decade. Top 10 Movies of the Decade. Top 10 Athletes of the Decade. I think it is safe to say we can already crown our #1 Curler of the Decade: Niklas Edin! Winter Olympics: 3 appearances. 1 silver. 1 bronze. World Championships: 9 appearances. 4 gold. 1 silver. 2 bronze. European Championships: 10 appearances. 6 gold. 2 silver. World Junior Championships: 4 appearances. 1 gold. 3 silver. World Universiade: 1 appearance. 1 gold. #GSOC: 45 events. 28 playoffs. 3 titles. 6 finals. 7 SF. 12 QF. European Mixed: 1 silver. 1 bronze. Tough to argue against The King based on the resume above. But lets break it down a bit more and see how he stacks up on the main categories. The Olympics are a tough comparison given the sport is still in a child-like status of history. The first time curling was a full medal sport at the Olympics was 1998 (ok technically 1924 but for argument sake here). With the Olympics happening every 4 years it also makes the task of defending any medal very difficult. We have only seen one repeat gold medal winner (Sweden's Anette Norberg, 2006/2010). The fact Edin has represented Sweden at the past three Winter Olympics and has upped his final standings by one each time (4th - 2010, Bronze - 2014, Silver - 2018) is a remarkable feat. What about those world championship wins? When Edin took home the gold medal this past Sunday he tied the record for most world championship wins at 4. He is the second active member of the group (Glenn Howard) and will have the opportunity to take over sole position of the all-time record next year. But also look at the number of wins he has. His gold medal victory was win #71 overall, moving him into sole possession of 3rd place. He is one win behind Germany's Andy Kapp (who was also in Lethbridge coaching Team Germany) and 17 wins behind friend/rival Norway's Thomas Ulsrud (88 wins). Edin has now landed on the podium in 7 of his 9 world championship appearances and owns an impressive 44% gold medal winning percentage. King Niklas also owns similar impressive stats when looking at his European Championship results. 6 gold from 10 appearances. A 60% gold medal winning percentage. 8 finals overall. Not to mention winning 4 straight titles from 2014-2017. The only player who comes close to those results is Scotland's Hammy McMillan, who has 5 Euro titles to his resume and did win three in a row (1994-1996). Now I get the argument some will make here. 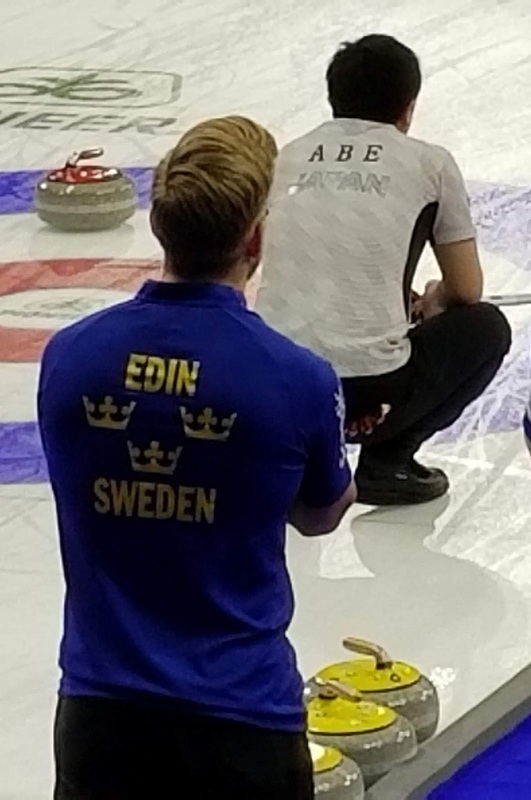 Edin can be perceived to have an advantage in stat padding due to Sweden not having a deep pool of elite curlers to challenge the King for top spot. Canadian curling fans may argue it is more difficult for Canadian teams to win national and international events due to strong fields at the Brier and how competitive it is to represent Canada at the world level. These are factual and true statements. Canada is more competitive. Canada has a much deeper field of strong curlers. Just making a national championship is difficult enough for some teams in certain provinces, let alone winning the Brier to represent Canada at the world championship. It is more difficult for a Canadian athlete to pad the stats. The fact Randy Ferbey, Glenn Howard and Ernie/Arnold/Garnet Richardson all have 4 world championships (tied with Edin) could be considered more impressive given the path to get there. On the flip side, Edin is still defeating Canada's top teams to win those world championships. Can anyone argue Edin did not knock off a top Canadian team during any of those world championship wins? This year he defeated Kevin Koe in the final. Last year Brad Gushue. In 2015 he knocked off Pat Simmons in the SF. And in 2013 he defeated Brad Jacobs in the final. No bingo squares there folks. People could also argue the European Championship stats are not as impressive as Brier wins. I would argue the fields are very similar. You have your top contenders in Europe (Sweden, Norway, Scotland, Switzerland). 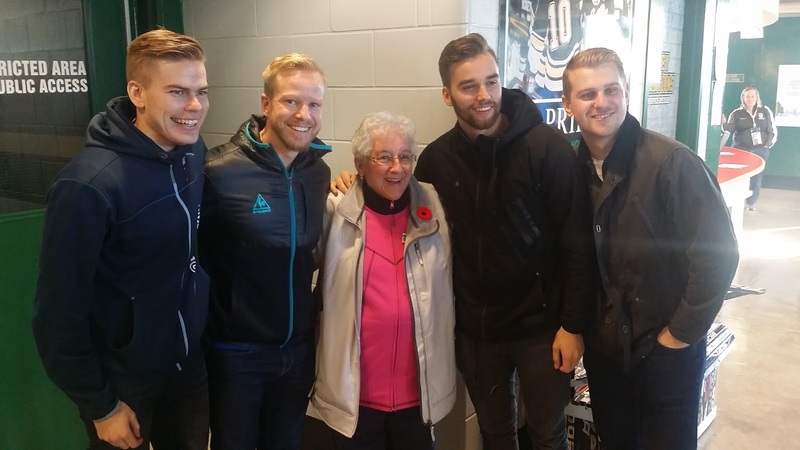 You have your top contenders at the Brier (Canada, Alberta, Manitoba, Ontario). You have your dark horse European nations (Italy, Germany). You have dark horse Brier provinces (Saskatchewan, Nova Scotia). And you have your "B-division" teams at the European's (Finland, Poland, Denmark, Czech Republic) along with similar at the Brier (Nunavut, PEI, NWT, Yukon). In any given year you can have 4-6 strong contenders at both championships. We cannot just assume Canadian curling is the epitome of the sport anymore. The world has caught up. Canada may have more high-performance teams. More Top 5 or Top 10 ranked teams. A deeper pool of athletes to draw upon when forming elite teams. But other nations have caught up. When looking at GOAT status, we cannot just assume the GOAT must be Canadian. Nor can we discredit the stats of non-Canadian curlers because their national program is not as deep or strong. Niklas Edin is winning. He is winning often. He is winning at every level. He wins international events. He wins #gsoc events. He wins tour events. He is the epitome of what the #PowerRankings have stood for week in and week out: consistency, consistency, consistency. Speaking of his #gsoc resume, Edin was the first non-Canadian male to win a grand slam title when he took home The Masters title in 2016. It was the first of three grand slam titles that season and could be considered the motivating factor towards future European grand slam champions like Team Mouat, Team De Cruz and Team Paterson. Add in the success during his junior years reaching 4 straight world junior finals, collecting one gold, and the Winter Universiade gold medal in his only appearance and Edin has put together a solid 15-year career of winning...and he is nowhere close to being done! In speaking with The King after his world title win this weekend, he is in prime form to keep playing and chasing the elusive Olympic gold in 2022. What does that mean for his competition? It means he has more opportunities to break all-time world championship records for titles won and overall wins. It means he could add to his #gsoc titles. It means we should expect to see a few more European championship runs over the next few years. And let us not forget the wildcard factor in arguing GOAT status: fan appreciation. The fans LOVE Niklas Edin. It does not matter where he is playing either. I have seen him compete in Canada. I have seen him compete in USA. I have seen him compete in Estonia. The locations may change but the hoards of fans waiting to meet, talk and get their picture taken with The King is always the same. Curling fans in Canada love our home grown talent of course. But how many international players receive the immediate love, applause and respect Edin receives when he steps on Canadian ice? Ulsrud for sure. David Murdoch, yes. But neither compares to Edin in fan support. He can go out and beat your favourite Canadian team and the fans will still praise him and cheer for him. This is a testament to his personality and character. He has the extra "it" GOAT factor in fans love him and he cares about the fans. We often see in other sports athletes who have a GOAT resume but are not personable or not universally loved by the fans. This is not the case with Edin. They love him. He loves them. There is no ego with Edin. Having known the guy for a few years now he is the same guy at every event I see him. Always with a smile. Always willing to talk with fans. Always loving the game, all aspects of the game on and off the ice. The only thing that has changed is the hair style. Remember the early years of those perfectly spiked blond hairs on top of Edin's head? And by perfect I mean it looked random in spots but the collective look was on point *literally* every time. From the back side it was almost porcupine-esque in how those hairs shot out from his head. Oh man, we need to bring this look back for a few events next season, if only for old time sake. The facial hair is always consistent though right? Classic Edin! So add it all up, what does it mean? It means the GOAT resume is already strong but the sky is still the limit. Top Curler of the Decade? Pretty safe to say Edin has that title locked up. Some may still debate his GOAT status now but will we still debate it after 2022? As this blog states, #StayTuned!! With the #WWCC2019 and #WMCC2019 complete the Power Rankings are ready for an update. With the top men's and women's teams (Epping and Homan respectfully) not competing at either world championship, did they leave the door open for one of the teams competing in Denmark and Canada to make a run for that coveted #1 spot? And what about our NEW nations ranking? Canada planted its foot on the apex of the mountain for the inaugural ranking but were their results at the world championships enough to hold off some strong competition? We see you #SwedishVikings and #HoppSchwiiz making a rapid climb up the mountain. 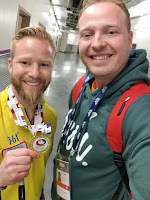 The gold medal run by Team Edin and silver medal result from Team Hasselborg led to Sweden being the big movers over the past few weeks, shooting up 5 spots to #3. Switzerland's world championship win in Denmark and bronze medal win in Canada brings them just a small rock chip away from the top spot as well, moving from #4 to #2. The only nations to finish Top 4 at both championships: Sweden, Switzerland and Japan! But, in the end, the Team Koe silver medal win helped Canada retain the top spot in the Nations ranking by the slimmest of margins. 10 points folks. 10 points!! The previous top three contenders, China and Scotland, both slipped down the mountain after both nations failed to make deep runs at the world championships. We are also seeing a division line emerging. The Top 5 are distancing themselves and look to be the main contenders for the year-end #1 title. Positions 6 - 9 are also close to one another as they battle for the next cliff mile marker. And then we see the major drop from #9 to #10 and below. Congrats to Germany on cracking the Top 10 but odds are slim a nation in #10 or below is going to make any noise now this late in the season. There are three world championship events to be contested this season for nations to try and earn more points. The World Senior Men's and World Senior Women's Championships and the World Mixed Doubles Curling Championship will hand out more ranking points. We should expect a tough battle for the top spot from the Top 5 teams at those final events. Even without competing for the past few months Team Homan retains the top spot on the mountain, enjoying what is still a fairly comfortable lead on their main rivals. Team Tirinzoni, the newly crowned world champions, made a leap above their rivals Team Hasselborg, whom they also defeated in that world final. Team Kovaleva failed to make a move on idle Team Einarson after failing to reach the Final 4 in Denmark. And the magical run atop the mountain continues for Team Epping. Make it 24 consecutive weeks in the #1 spot folks! Amazing! The last time Epping was not in the #1 spot was back in Week #4 when Switzerlands's Team Schwaller moved to the top of the mountain for a brief one week stop. But the gap is rapidly closing and, unlike the women above, the men are in a tight battle for the year-end #1 spot. Koe's silver medal run at the world championships helped him leap frog a strong Mouat team (whom he eliminated in the world championship playoff round) and Team Bottcher (whom he beat to win the Brier). As for the world champion himself, Edin returns to the Top 5 and only sits less than 400 points behind Epping for the top. Any of the top ranked teams could still emerge with the year-end #1 ranking folks given the remaining #gsoc events on the calendar. The final major of the #gsoc season is underway this week in Toronto: The Players' Championship. As this is also a major event, there will be huge ranking points on the line for the teams who qualified. Our winning teams will collect 2000 #PowerRanking points while the runner-up collects 1200 and SF finishers each receive 720. When looking at the women's and men's rankings above, a #gsoc title this weekend could propel a team into the top spot...not to mention claiming one of the most prestigious titles on tour every year. 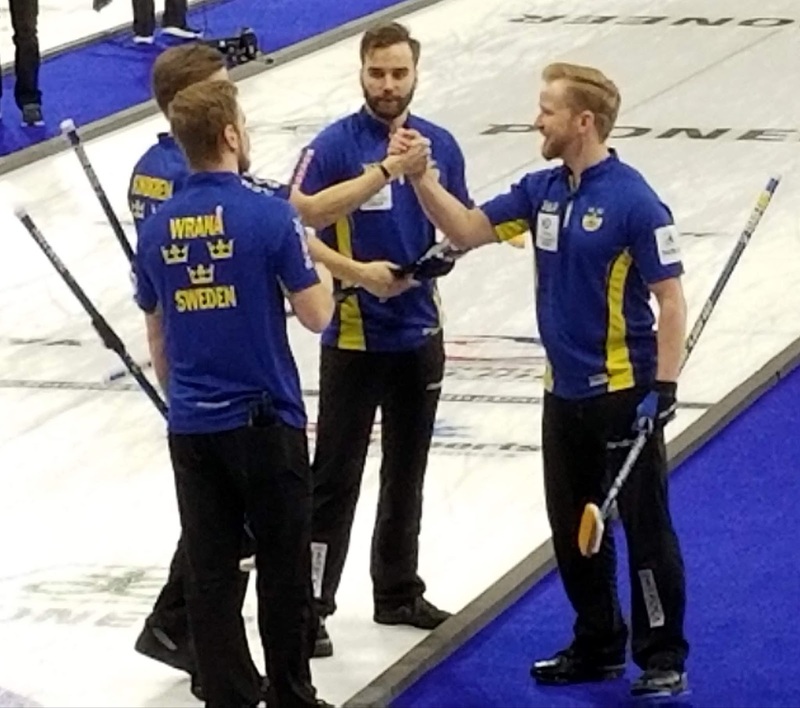 Keep you eye on those men's teams who arrive after a long world championship week in Lethbridge (ie: Team Edin, Team Koe, Team De Cruz, Team Mouat). Will fatigue catch up to them or can they continue their stellar play? And what about the women's field? Many of those teams have had a few months off now. Could the long layoff in between events help or hinder their #gsoc championship dreams? Can Team Tirinzoni continue the momentum from the world championship win? And what about Team Hasselborg? Will they bounce back from the disappointing world final loss? Of course never count out Team Homan. Good luck and good curling to everyone!